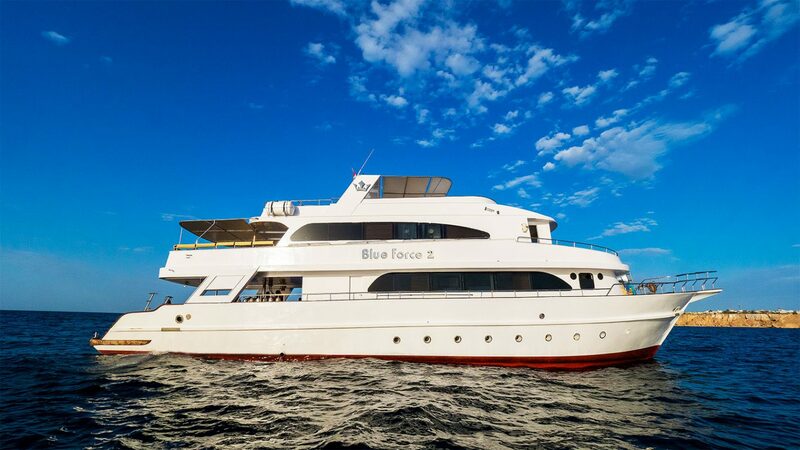 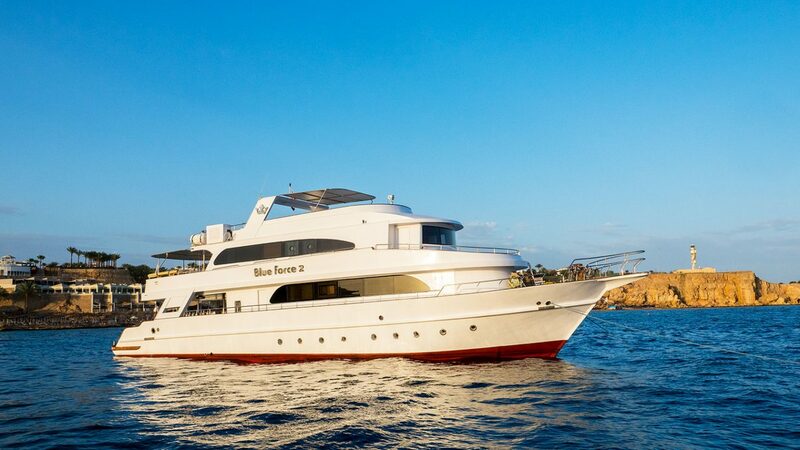 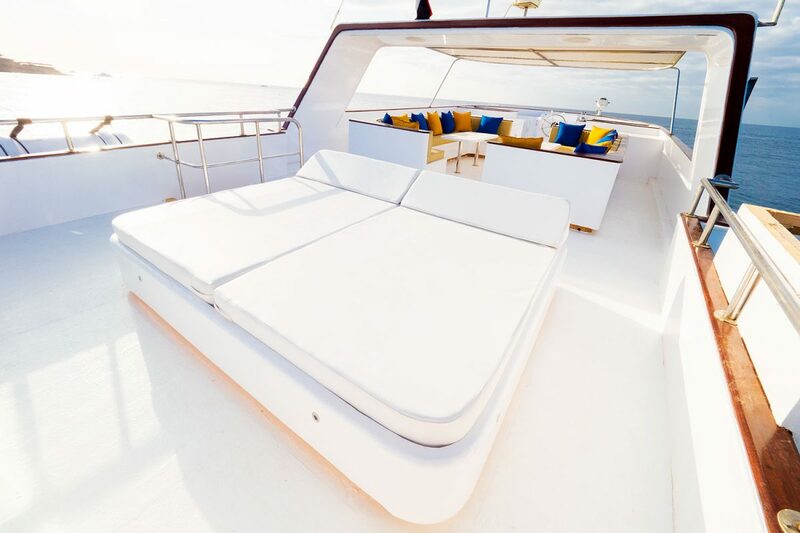 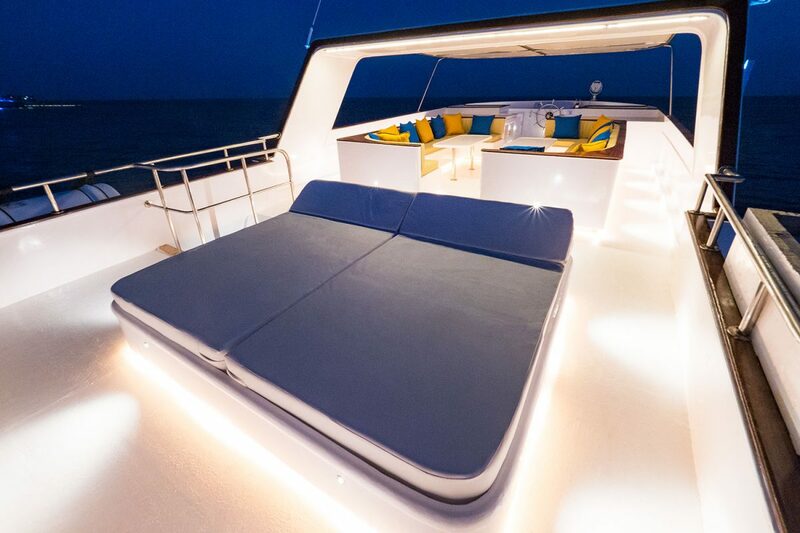 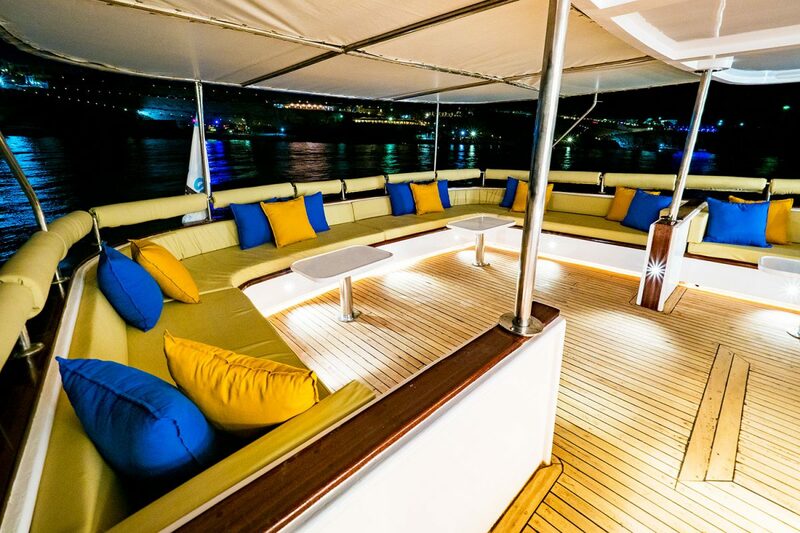 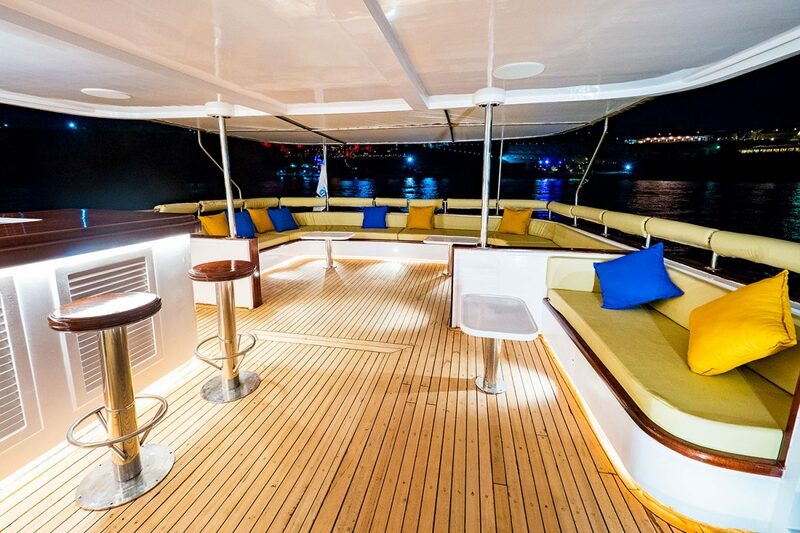 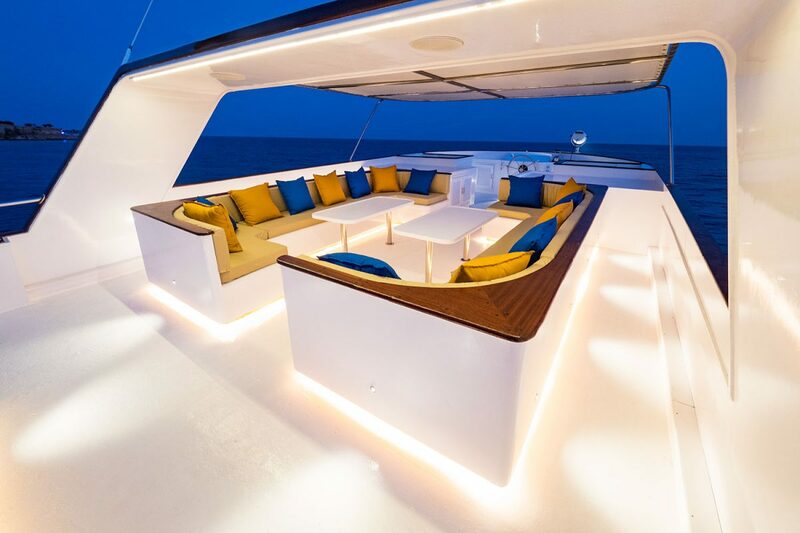 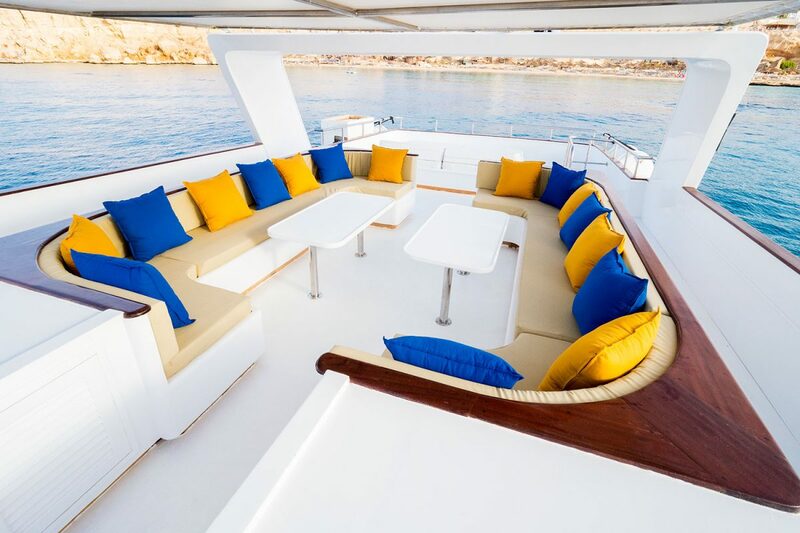 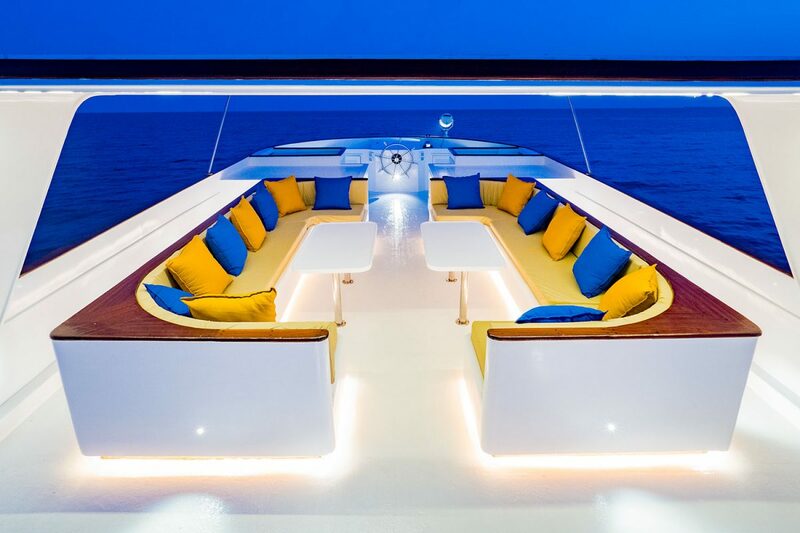 Our Red Sea Blue Force 2 is the boat par excellence for your first liveaboard cruise. 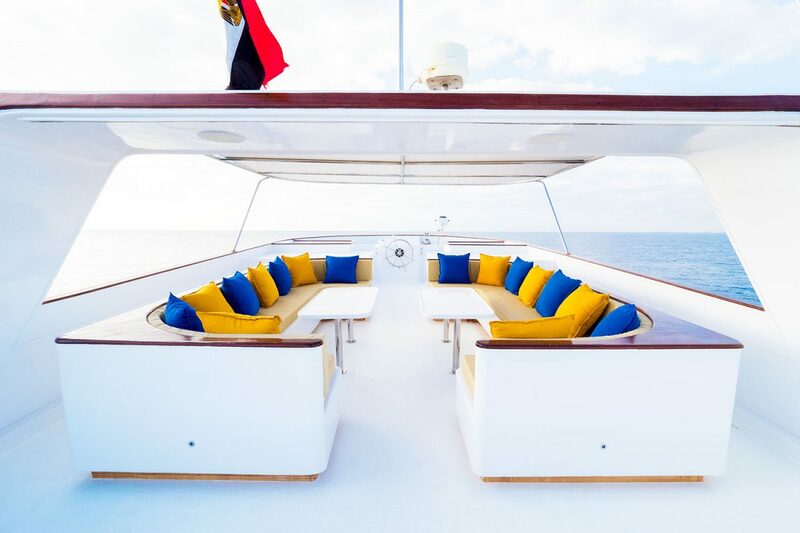 Operating from Sharm El Sheik, in the north of the Red Sea, our routes are the best to know the wonders of this sea and the advantages of a liveaboard trip. 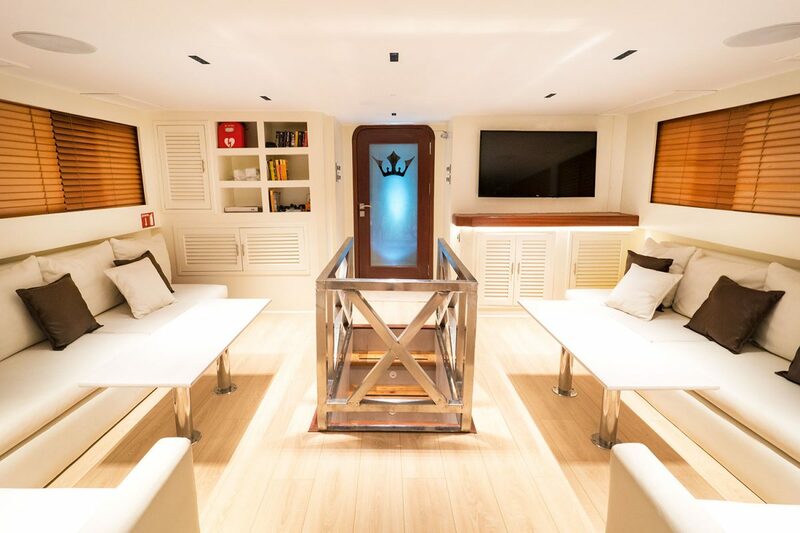 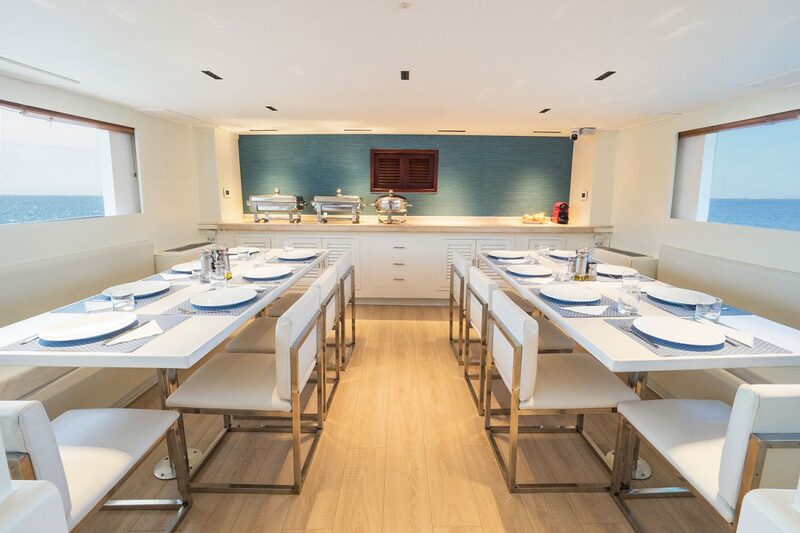 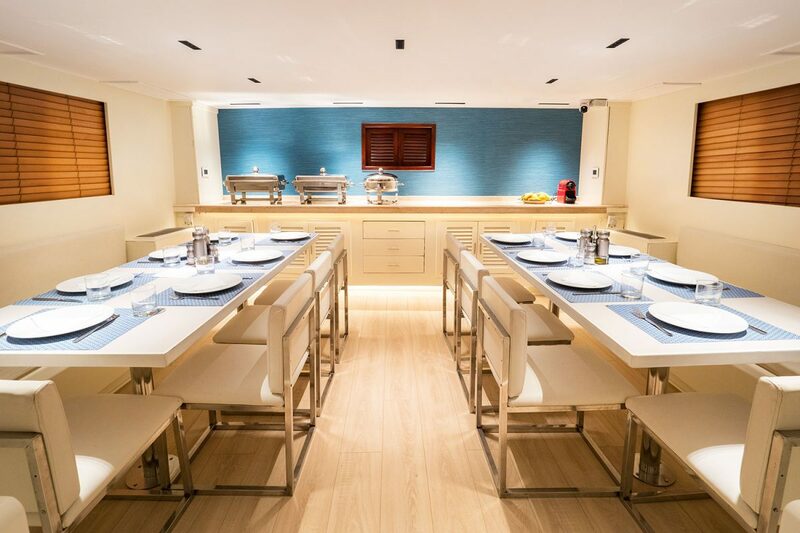 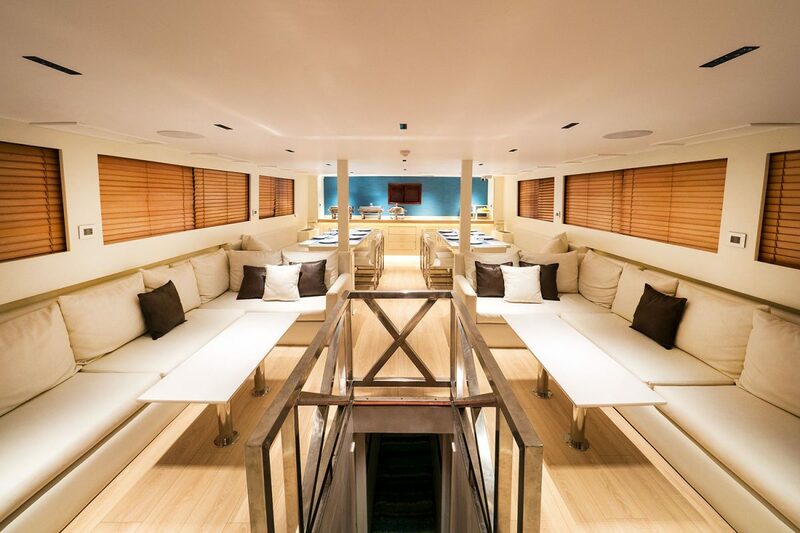 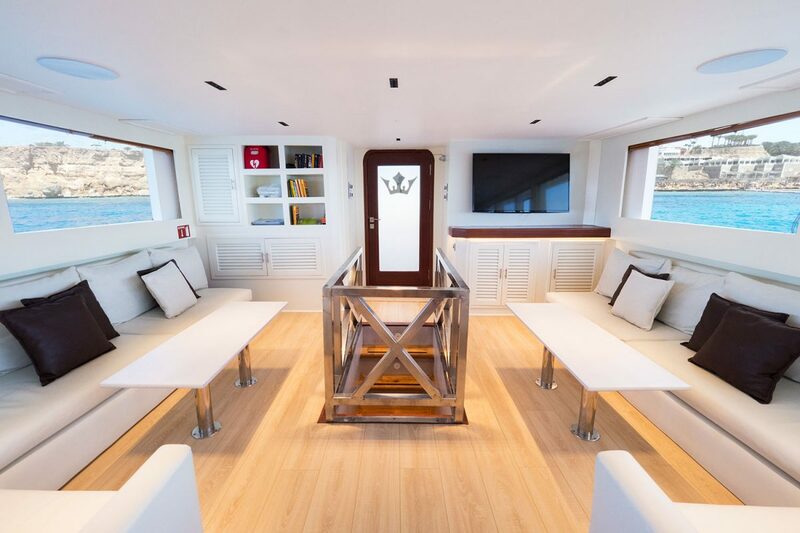 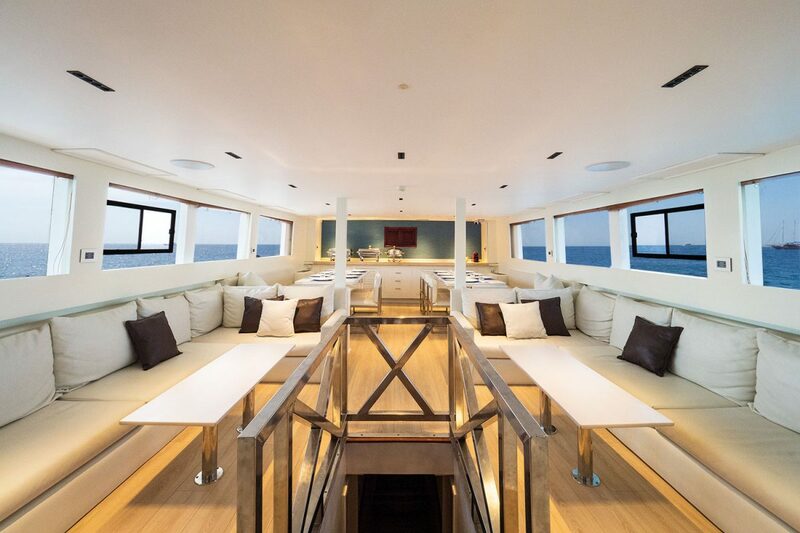 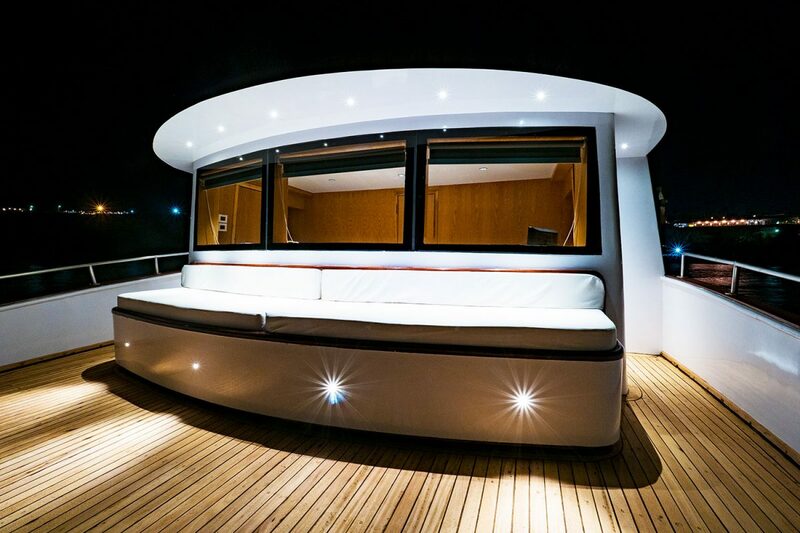 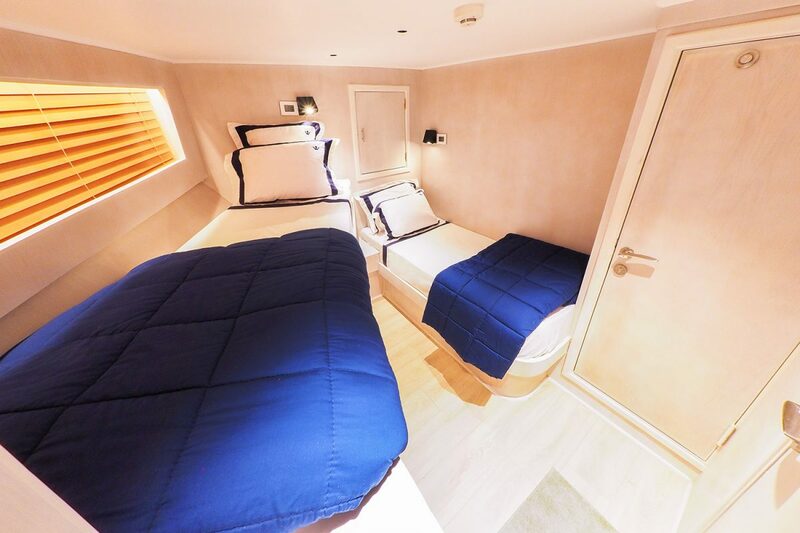 Lower deck (Cabins from 1 to 5): 5 double cabins with 2 beds, air conditioning, bath and private shower. 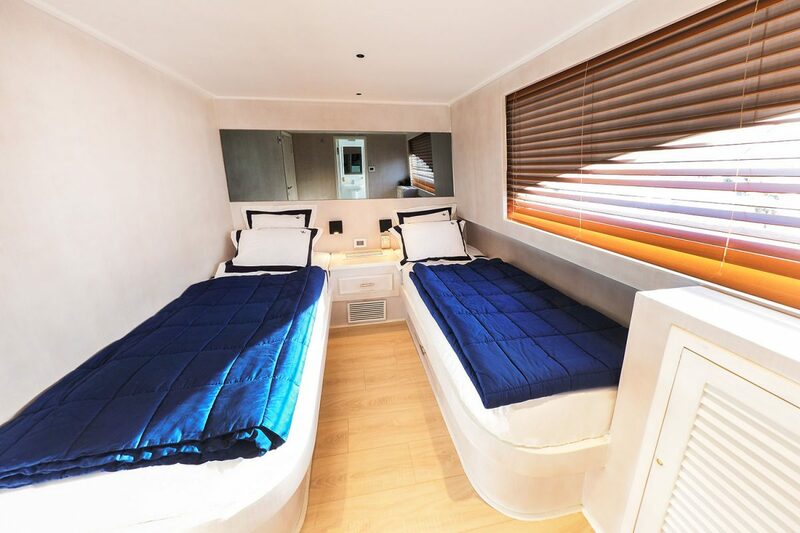 Upper deck (Cabins from 6 to 9): 4 double cabins with 2 beds, exterior window, air conditioning, bath y private shower. 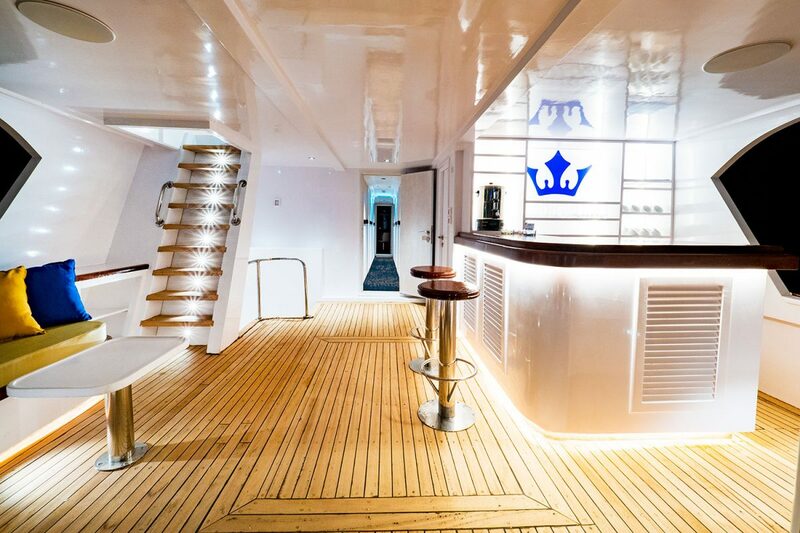 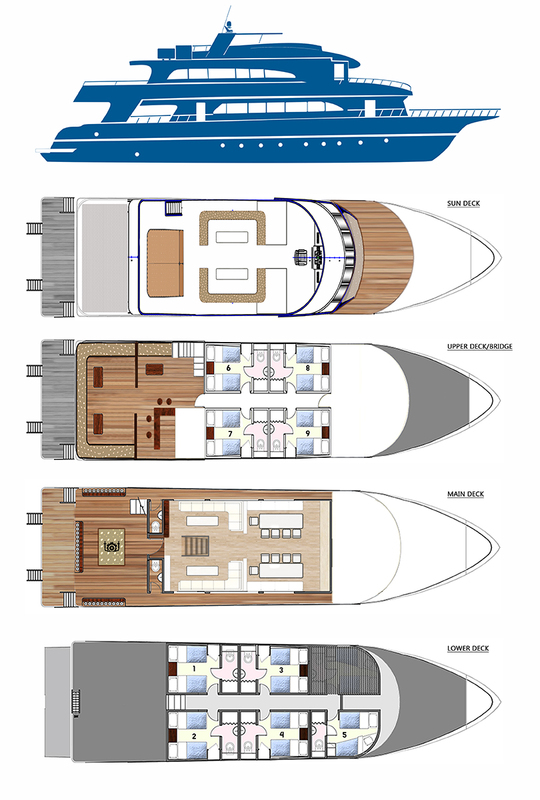 Main deck: Living and dining room with TV and air conditioning.